Do any of you ever check out the deals at Regis Salon? They normally have a display by the entrance of the salon where they have hair products, etc. on sale. Sometimes they have O.P.I. nail polish in the sale bin and I always dig around to see what they have. A few days ago they had Buy 1 Get 2 Free on everything in their sale bin. So here is one of the polishes I picked up. At first site, I thought of China Glaze Riveting. It appeared really orange to me, especially next to the other one I had in my hand (You Only Live Twice). I really enjoy Riveting, so I thought this would be a good one to have since it's more of a reddish orange. I haven't worn an OPI for a while and I sure did appreciate the brush and formula on this. I think OPI is one of those brands that you can count on as far as formula goes. There aren't many OPI's that I have that are streaky or thin. The Spy Who Loved Me was opaque in one coat. I did add another coat because I always do, but one coat is all you need. Here is a comparison to show you how it's more red than orange and more orange than red. In some lights, it leans a little more orange....but then I can look at it in another light, and it looks more red. I really love that about this polish. Here are the 3 polishes I picked up for $8.50+ tax total. Left: Did You Ear About Van Gogh? 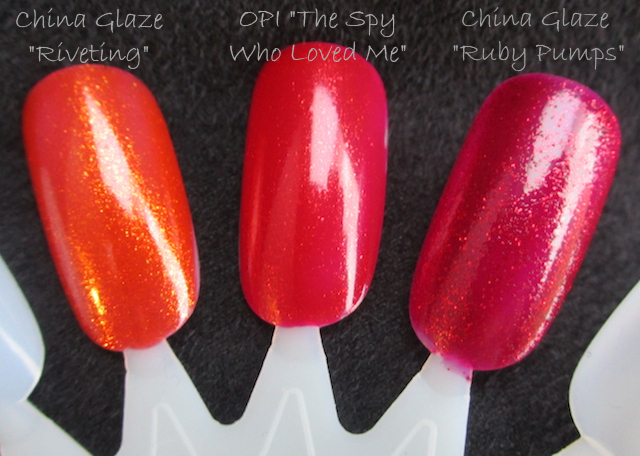 (2012 Holland Collection), Middle: The Spy Who Loved Me, and Right: You Only Live Twice from the Skyfall Collection. I'm pretty excited about Did You Ear About Van Gogh. It isn't at white as it looks in this photo. It's more of a light beige. I have a few other polishes that may be dupes such as Essie Sand Tropez that I will have to compare it to. I'm hoping the formula is better than the Essie. Beautiful polish and great find! I've only seen that sale once going on at my salon...and two out of the three colors I already had. lol. Maybe I just always miss when it's going on. Yeah, most of the time they only have crackle polishes or ones that I already have - but this time I was in luck! Don't you just love good deals! I bet it was hard to resist getting 2 haha! This is a nice color. Can't wait to see the others! Yes, it was hard to resist - especially OPI. 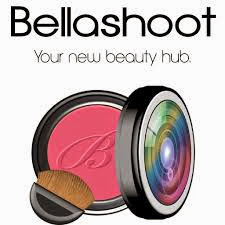 Red's look gorgeous on you! And this is such a stunning color. Thank you. I know I don't wear them enough. What a great deal! I need to check out their sales! Yes, I recommend it. This was an awesome sale. I actually had to ask to be sure I was reading it right. Wow what a great deal!!!! 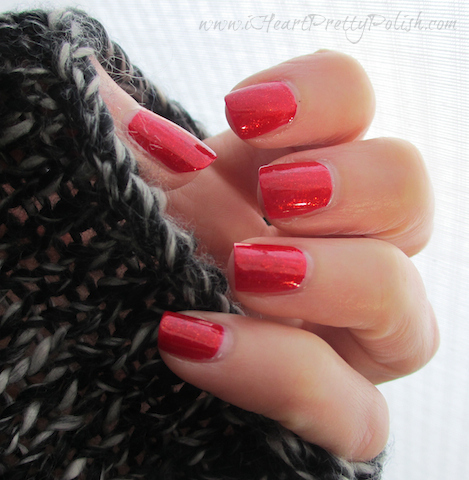 And I love this polish, especially the shimmer! P.S. I miss your cakes!!!!! I need to try to remember to keep posting them. Sorry about that. I am getting down to the end of the ones I have made in the past, so I need to get back into that hobby to get some new ones. It really is unique. I'm so glad I picked it up! Yay!! Great finds! The Spy Who Loved Me looks fabu on you! That was my favorite red from the collection. You'll come to love Van Gogh. I just used it today in a mani for the challenge I am in. I know I'm going to love Van Gogh, it's so me! I really like this shade too - I bought both reds and the deep raspberry/fuchsia one too from this collection. Funny I never thought it looked that orange..least not Riviting kind of orange. I thought of it more like a warm red..tomato red that is just a shimmer red/orange. Thanks for the side by side comparisons. 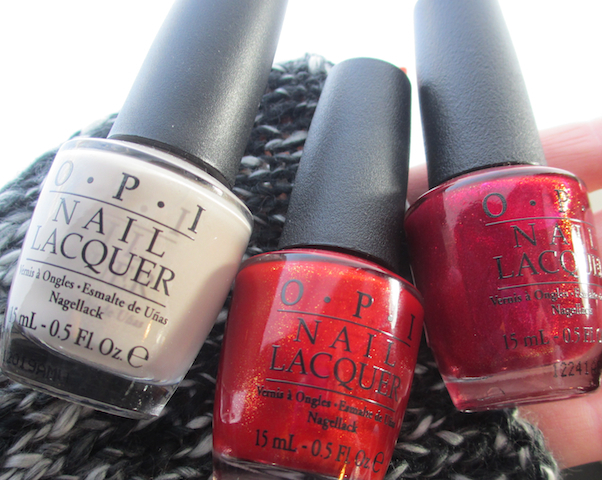 Forgot to add - cannot believe you are so lucky to have places where they put new OPI shades on sale! Gads...no where I live even sells them - I have to drive 65 miles one way to get to a shop that has them and they NEVER have sales - even when it's a ltd edition that is 4-5 yrs old and they did not sell out of some of them! oOh so yummy-the colors are gorgeous! Oh what fun! I love the light humor of your blog! Yes, it was an awesome deal. Thanks for stopping by!